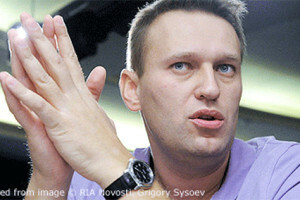 Reuters covers the latest attempt to jail Russian lawyer, whistleblower and opposition figure Alexei Navalny. A Moscow court on Wednesday rejected a bid by law enforcement officials to have Kremlin critic Alexei Navalny jailed for violating the terms of his suspended five-year sentence on embezzlement charges. Navalny, who led mass street protests against President Vladimir Putin in 2011-2012, denies any wrongdoing in the 2013 case that saw him convicted for stealing from a state firm and says it is part of a Kremlin campaign to stifle dissent.